Don Beck and Chris Cowan, the authors of Spiral Dynamics: Mastering Values, Leadership, and Change worked with Dr. Clare Grave for about 10 years prior to his death in 1986. Spiral dynamics has its roots in the research of Dr. Graves and is one of the most popular practices in value systems in use today by organizational development professionals and leaders across industries. 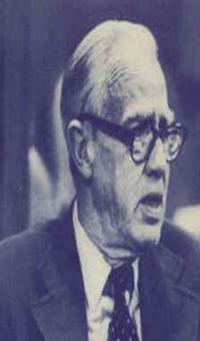 Graves developed the Emergent Cyclical Levels of Existence Theory (or ECLET) from the data he collected in the 1950’s on the subject of the personality of the mature adult in operation. Graves did not have a theory in mind when he started his research. He simply wanted to understand the differences in personalities in mature adults as they relate to their human experience. His research involved having his students write an essay describing the personality of a mature adult in operation. In his analysis, Graves used a trained panel to classify the data as it was being collected. The initial classification yielded two groups: one for individuals whose concept of the mature adult was denying/sacrificing self and the other about expressing self. The sacrifice-self group was determined to have an external locus of control and aimed to make meaning of life through input from the world resulting in actions to modify and improve self. In contrast, the express-self group was found to have an internal locus of control, getting direction exclusively from within and focusing actions on changing the world. Through his continued research, Graves realized that the classification of his subjects did not remain static. He followed up with the lives of many of the individuals that participated in the research. Graves determined that over time, individuals changed their perspective on what a mature adult should be like. That is when he conceptualized an evolutionary cycle that alternated between expressing self and denying/sacrificing self. There was a sixth classification that was noted in the transitions as individuals evolved. This group was another deny/sacrifice self that evolved from “express-self but not at the expense of others” group that focused entirely on existential realities. It is at this point and throughout the 1960’s that Graves developed and matured ECLET. His conclusion was that his classifications represented the amalgamation of unique life conditions and mind capacities that form part of human evolution. The life conditions presented the collection of problems that individuals need to solve, while the mind conditions corresponded to the problem-solving neurology active in each individual. As Graves prepared his first set of essays on ECLET, he added two entry level classifications which preceded the one on express self impulsively. In ECLET Graves theorized that humans evolved from primitive man to contemporary beings not just physically but socially and psychologically through what he ended up with: eight levels of human existence combining life conditions with mind capacities. Graves utilized a simple notation to refer to the eight value systems. He used the letters A – H to represent the life conditions and N – U to denote mind capacities. Graves conceived that humans evolve upwardly from A-N to H-U and beyond. However, he also found in his research that given harsh life condition changes, human could regress to a lower level. Additionally, humans could enter or exist in an environment that is different to their mind capacities. For instance, humans with “R” mind capacities could be in a system with “D” life conditions. ECLET conceives mind conditions to be nested or accumulative. A person with “R” mind capacities has the neurology to understand and operate in any system raging from A through E. The following table shows the key attributes of each system in ECLET. Practice and affirmation of the new way of solving problems. Although much of the original research has been lost by practitioners, the principles of ECLET as reflected in spiral dynamics are in use today to aid in the problem solving at every level of the human evolution.